dock10’s post production team has enjoyed creating the latest bloopers film for Aldi’s hugely successful Christmas campaign. Commissioned by McCann Manchester, the film stars the animated carrots Kevin and Katie, alongside a gingerbread man modelled by the dock10 team. "We loved bringing this light-hearted animation to life," says Chris Baker, Head of VFX at dock10. 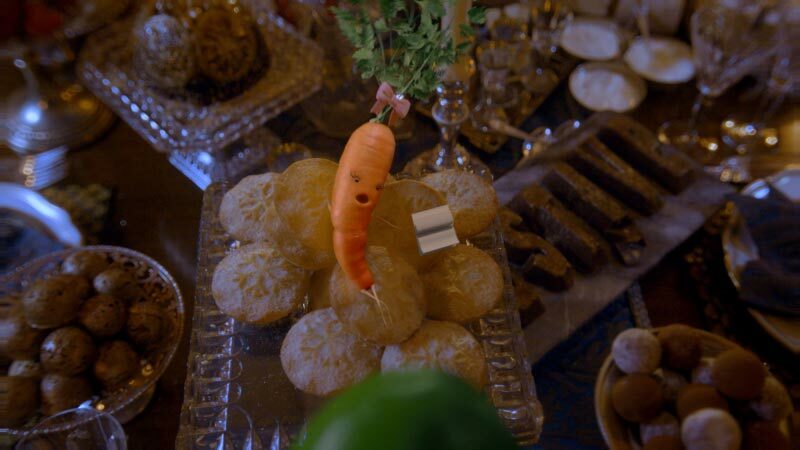 "The Aldi Christmas campaign has become increasingly popular, fuelling huge audience expectations, and the team really appreciated working to the exceptionally high production values demanded by the agency and the client." Alex Dubus, VFX supervisor, used his years of experience to lead the team through the rigging, animating, compositing and lighting of all the characters and environments within the 50-second CG film. "It was great working with McCann Manchester’s hugely talented creative, production and post production team," says Chris Baker. "The result is a charming addition to Aldi’s successful 2017 Christmas campaign."